Having braces doesn't mean you have to miss out on the Holiday treats. We want to make sure that our patients get to indulge in a few treats of their own. Here is a great recipe for delicious soft cookies we know you will love! In a large bowl, cream together the margarine and 1 cup sugar until light and fluffy. Beat in the egg, then stir in the water and molasses. Gradually stir the sifted ingredients into the molasses mixture. Let mix sit in freezer for 30- 40 minutes before use. Shape Dough into walnut sized balls, and roll them in the remaining 2 tablespoons of sugar. 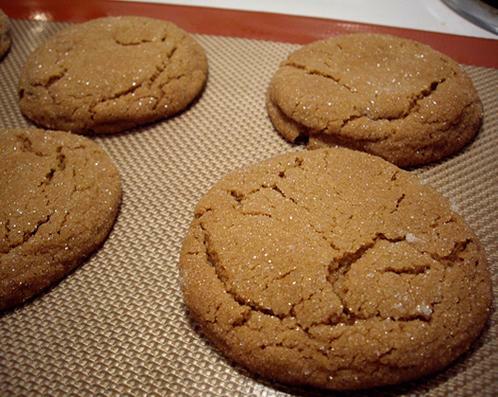 Place the cookies 2 inches apart onto an un-greased cookie sheet, and flatten. Bake for 8 to 10 minutes in the preheated oven. Allow cookies to cool slightly on baking sheet for 5 minutes before removing to a wire rack to cool completely. Store in an airtight container.